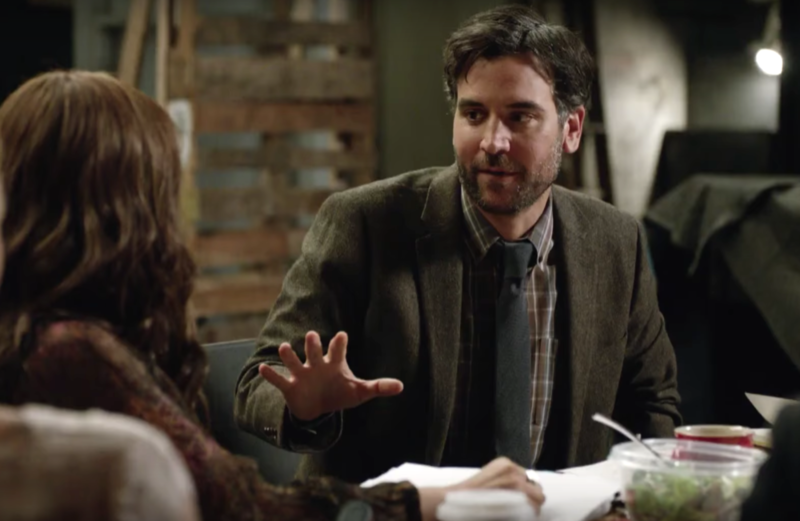 If you love music, high school drama, Josh Radnor, and (probably) crying, you’re going to love the trailer for NBC’s new musical-drama, Rise. The TV series premieres in March 2018, and this first look is enough to give us ALLLLL the feels. The Rise trailer touches on everything that makes a great musical-drama. With a realistic, gritty look at high school drama (literally) and the families it affects, Rise might be your new favorite show to cry to. (Sorry, This Is Us.) It has a diverse cast led by Auli’i Cravalho (Moana) and Rosie Perez (The View). Not to mention, Josh Radnor (How I Met Your Mother!!) also stars. Does he look good as a rumpled teacher with a graying beard? Of course he does. Welcome back to TV, Ted Mosby. The Rise promo makes it clear that nothing’s going to come easy to these characters. Whether they have a discordant home life, sick family members, financial hardship, and any other deeply relatable challenges, it looks like all this will be a key part of the show. There will also be music, and we’re sure that’ll help this group work through their troubles. Rise is produced by the team behind Hamilton, Friday Night Lights, and Parenthood, so of course we have goosebumps over this already. The team is already responsible for some of the funniest, most heart-breaking, and innovative adaptations on TV or Broadway. And Rise happens to be “based on a true story,” so it’s safe to say our hopes are high for this one. All that’s left to find out is what will be the “Clear Eyes, Full Hearts, Can’t Lose” mantra of Rise. We just hope Auli’i gets to say it first.